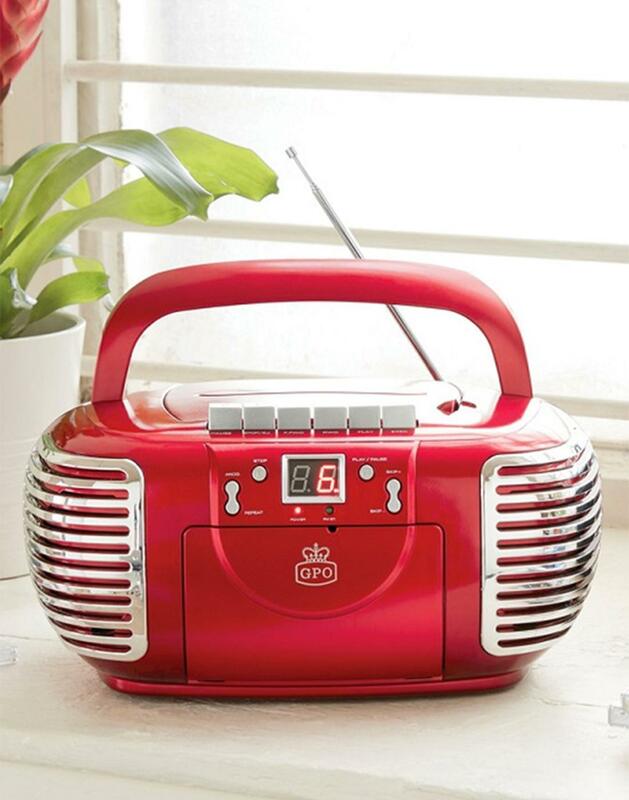 Part of the Retro Rewind range from GPO Retro, rewind back to the early 1990s with this fab retro 3 in 1 Radio, CD and Cassette player in red. Revitalise your old tape and CD collection, create a mix tape for a loved one and tune into old skool style to AM and FM radio stations. You can programme in your favourite stations so they’re easy to find! What more could you ask for in this nifty retro CD/Cassette Player?! GPO Retro PCD 299 3-in-1 retro cassette tape player, CD player and radio in red. - Portable retro style cassette and CD player.